Zell am Main is celebrating its “Neue Mitte”. A nine-month construction period with many innovations lies behind the community. The result is the town’s new meeting point with a market in the center, which was inaugurated on Friday afternoon with many political celebrities. The great response of the participating citizens showed the joy of completion. The square in front of the Edeka market in the Fahrmannstraße is unrecognizable. The redesign of the village square with the construction of a small marketplace with trees and seating, a drinking water well, an information terminal, a newly paved place for the farmers market and an electric petrol station is a big step for Zell’s infrastructure. The new center has already been a location with cafes and shopping, where people come together in everyday life. But it has not been a place to stay for a while. Now the pedestrians got more space and thus more security. So far, the range of arriving and departing cars had dominated. Now it should be marked by encounter and communication. 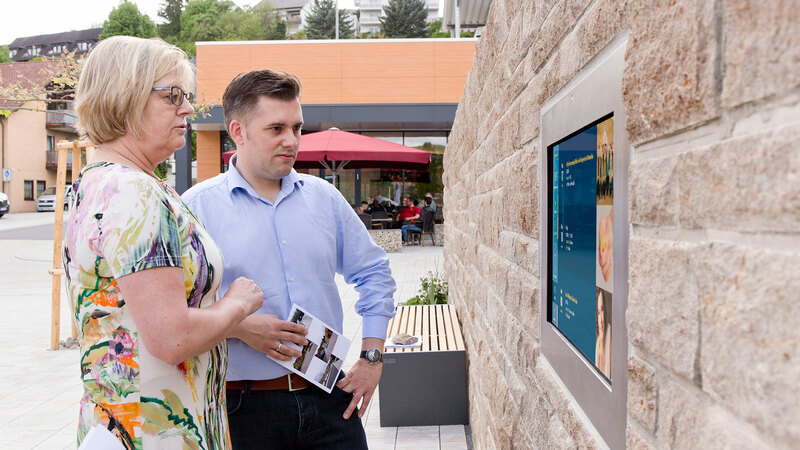 The main goal was to increase “the attractiveness of residence at the heart of our community” and to make the area on Fahrmannstraße a “real meeting place” for citizens and visitors, mayor Anita Feuerbach (CSU) emphasized. She expressed the hope that a new and different life could take place here. The head of the council is particularly proud of the digital achievement. The information of the terminal is created according to the latest possibilities. The users can take a completely new look at Zell, get media-didactically prepared brief information about the community and information about current events. As a further highlight, the municipality in cooperation with Stadtwerke Würzburg now has an electric filling station. This would like to support the development of the e-vehicle, says Feuerbach. According to her, the process of “Neue Mitte” began with the first construction of the monastery garden in the 1970s. He had now been continued with the strengthening of the quality of stay. But the church is not yet at the end of the considerations. According to this, Zell should retain its identity, tell its story and include all localities. “We, the responsible persons in politics and administration, therefore think further.” Because with a good infrastructure and beautiful residential areas alone it was not done. Old and new should be connected or remain connected. 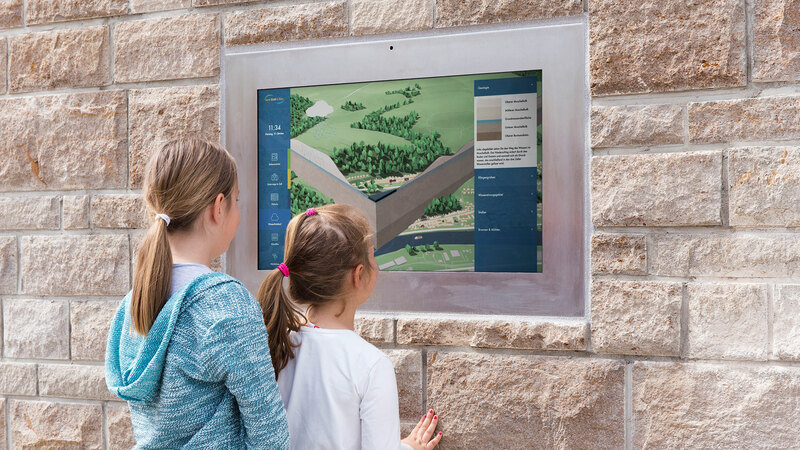 Therefore, last year the town council commissioned the plan for public green areas between Schützenhaus and Pfaffsmühle, between the river Main and the new center as a link to the Altort area, and decided the rough planning. Starting from this “vital center” one would like to extend the possibilities of stay and thus create a connection over Judenhof and Klosterhof to the Altort. Mayor Feuerbach announced that first of all, here on the meadow behind the wall, an attractive play area will be created. 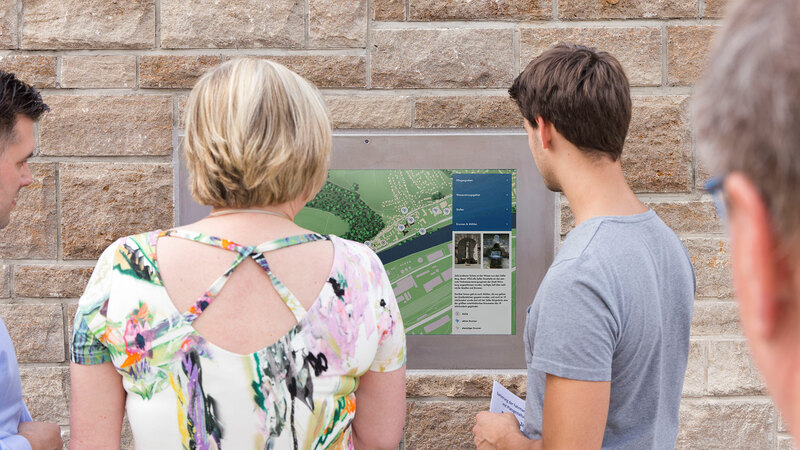 Furthermore, a uniform signage concept is currently being developed – for the inner city and along the cycle path. Since its inclusion in the urban development subsidy in 1997 as a single project and since 2005 as an overall measure, the municipality has received financial support from the program for refurbishment measures. According to construction director Bernhard Wägelein of the government of Lower Franconia, a total of 1.6 million euros have been made available so far. The renovation of the Fahrmannstraße is a successful contribution of the community in their efforts to upgrade their new town center and increase their attractiveness. The measure was estimated at a total cost of 688.400 euros, could be 328.800 euros as eligible and Zell with a subsidy rate of 60 percent a grant of 197.200 euros from the Bavarian urban development program be approved, said Wägelein. Despite this not insignificant funding by the federal government and the State of Bavaria, the community still has a large share of its own, which should be supported. 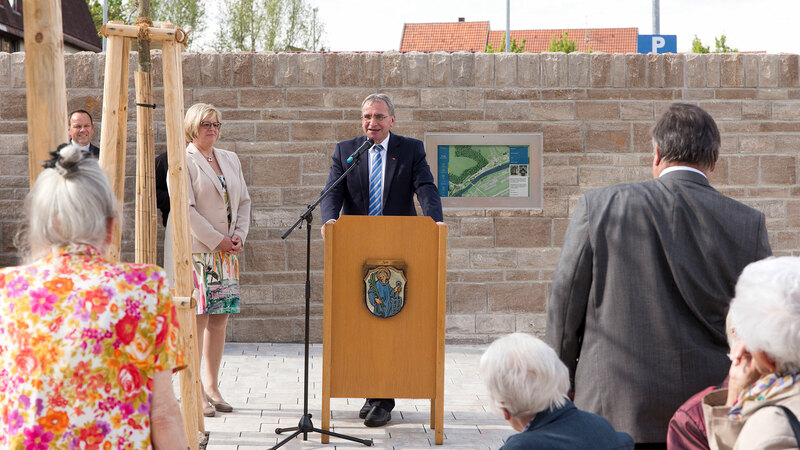 “This deserves respect and recognition.” Among others, the deputy district councilor Christine Haupt-Kreutzer (SPD), Bundestag deputy Paul Lehrieder (CSU) and city planner Prof. Martin Schirmer have dubbed the new village center. They expressed the hope that the square for Zeller citizens will become a piece of living room. Congratulations also brought Tobias Schneider of the Würzburg company Arz and Thomas Schäfer, head of the Würzburg supply and traffic GmbH. The inauguration was also attended by mayors from the ILEK communities. The church blessing was given by the Protestant pastor Peter Fuchs and the Catholic deacon Rudolf Haas. The event was musically framed by promusica. Afterwards, a cozy get-together took place in the new village center.